Session 415. On the water at 7:30 with the sun rising. The northerly wind was light close to shore but much better further out, so I did some long tacks and enjoyed the solitude as I made my way upwind past Seaford pier, then surfed some nice swells back to the beach. Tarren, James, Stu & Stu showed up and hit the water so it almost got crowded! The water was fresh but not too cold and the morning sun was nice and the water very clean. I enjoyed just cruising and peering down to Mornington - thinking that a downwinder to there would be good too, or maybe keep going to Rosebud? Next time, maybe. After the kitesurfing I drove down to Sport Phillip Marine in Mornington and bought a Forward WIP 50N Impact vest which has a couple of pockets built in to it which will be handy for carrying an EPIRB and some other items. More on this later. Session 414. Another good downwinder. We left a car in Port Melbourne then drove up to Hampton and launched in a solid 25 knots. I took my 8m kite and hoped the wind would stay strong all the way to Port Melbourne. After a few tacks four of us headed off past Green Point were we surfed some waves before continuing. There was a good swell and the wind was good so I was making good time. I was a bit leery of losing wind so I cranked up the speed and did some fast runs, slowing down occasionally to surf some of the bigger swells. The others were following in the distance. The wind softened off Elwood as it often does there, so I set a tack for the Spirit of Tasmania and concentrated on keeping my speed up. I made it easily, passing the last pier with room to spare. Elapsed time was about 48 minutes. Its always a great feeling completing a downwinder. I waited for the others who came in about 20 minutes later, all very happy with the run. Session 413. A nice northerly at Hampton today. Very consistent and not gusty. Did an upwind tour past Brighton Marina up as far as Elwood, passing a few large yachts racing along the way. My speed was good and going upwind easy. A couple of smaller yachts capsized near me but were able to get going again without assistance. I passed a couple of guys on SUPs who were having some trouble with their balance and were on their knees padding. I kept an eye on them but they eventually made it around the Brighton Marina breakwater and were able to get to shore. Speed runs downwind, surfing a few bay rollers and some biggish jumps added variety to this session. The wind was very consistent for a northerly when I was out from 10:30 to 11: 30 but look at the gusts the came through with the south westerly change later in the day! I drove down to Dromana to bike up a folding bike I bought from Ben Goodall, who makes really cool Human Powered Vehicles - bikes with fairing enclosures. I had a look at Rosebud. 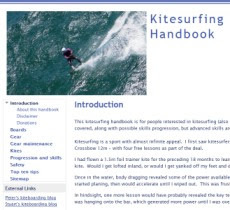 There were kiters out on the fairly flat water with the tide in and a few small waves further out, but the south westerly wind change was imminent so I didn't go out. When it did come through there were some bike spikes gusting up to 35 knots which would not have been pleasant with a bigger kite. Strong winds forecast for tomorrow - 30 knots or more. Could be good!